The Climate Wars … ending? Well, the Climate Wars are still being waged … but for how much longer? … or watch the whole fight scene here (great movies, all 3 🙂 ). Question: Likewise, did these 4 independent unpaid skeptical climate bloggers win the decisive battle of the whole Climate Wars ? 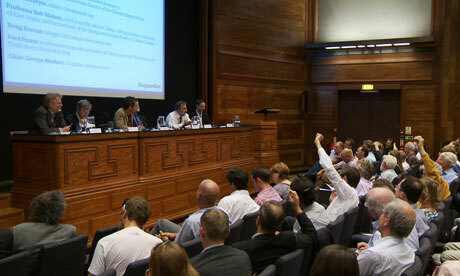 Anthony Watts (Watts UpWith That), Jeff Id (the Air Vent), Steve McIntyre (Climate Audit) and Lucia Liljegren (The Blackboard). They quickly and efficiently released the thousands of leaked Climategate emails that shocked the world, by coordinating posts on their blogs and informed by computer experts on many continents. 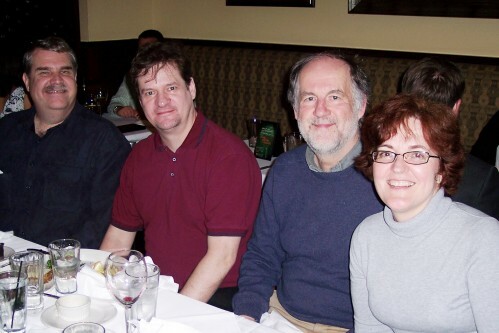 See the original posts here: Anthony Watts (Watts UpWith That), Jeff Id (the Air Vent), Steve McIntyre (Climate Audit) and Lucia Liljegren (The Blackboard). Whereas the BBC’s weatherman Paul Hudson hid the story after receiving one of the emails a month earlier. Bad boy Paul! 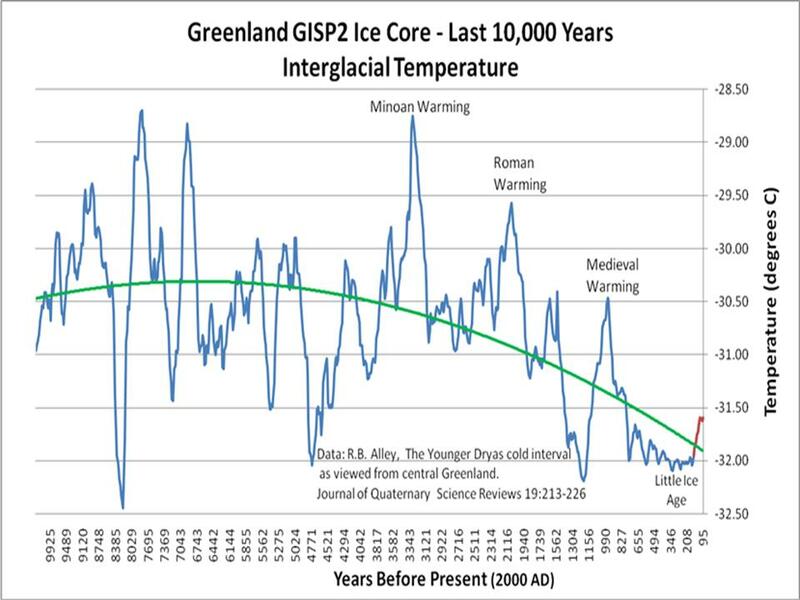 Will the Global Warming movement go down in the annals of scientific fraud as have The Piltdown Man, Eugenics and Lysenkoism? Well, stick with me and be amazed at this infamous tale of the betrayal of a science, that is sure to be a chapter in our grandchildrens’ History of Science textbooks. 1972: UN’s first environmental conference in Stockholm. Chairman Maurice Stong praises his conference for “bringing climate change to the top of the global agenda.”. Then the world began to warm .. a bit. 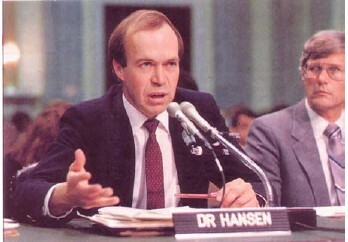 1988: At Al Gore’s Senate hearings James Hansen (Director of NASA’s GISS climate department) says that he is 99% sure man is catastrophically affecting the world’s climate. 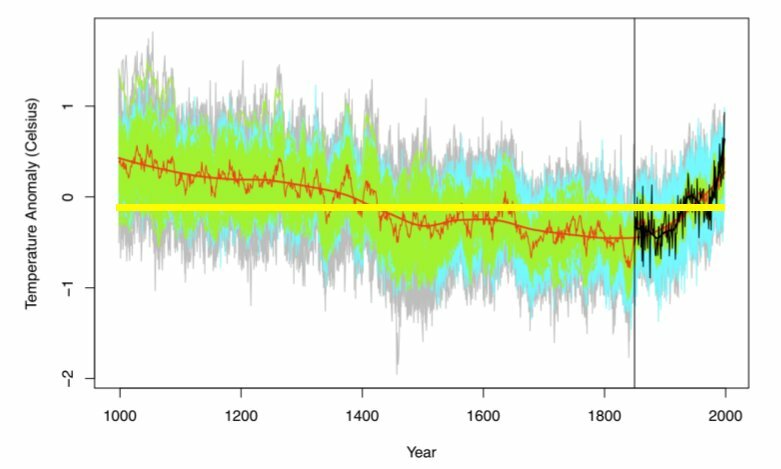 The top black line is how his model said the world temperatures would rise if man did not cut back on producing CO2. The bottom black line is what he predicted temperatures would do if we drastically cut back CO2 emissions. 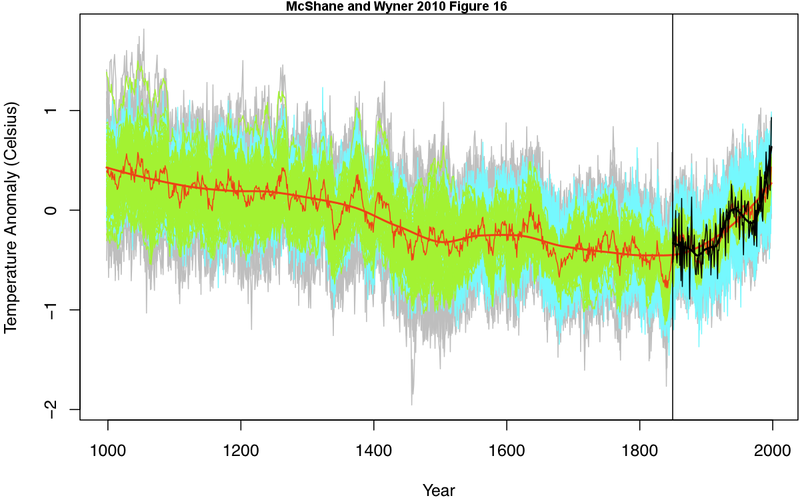 The red line are the actual measured temperatures when we have done practically nothing about CO2. Is there a disconnect with reality here? James Hansen is still director of NASA’s GISS … Hmmmmm. 1988: United Nations IPCC (Intergovernmental Panel on Climate Change) was set up. 1990: 1st UN IPCC report – “certain” that the greenhouse effect was enhanced by “emissions from human activites”. 1992: The Rio Summit – 20 000 green activists, politicians from 170 countries, 108 prime ministers and presidents. Al Gore publishes his “Earth in Balance”. 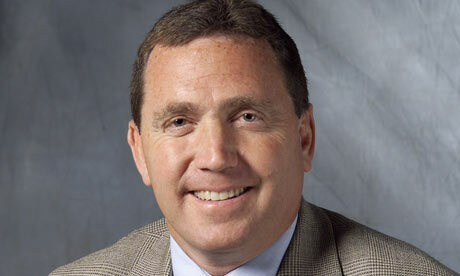 Changed by UN’s IPCC scientist Ben Santer to – “… a discernable human fingerprint on Earth’s climate”. 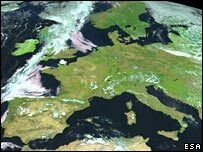 However the IPCC reports now claim that the MWP was just a local European phenomenom. How could this be? Well …. 1998: … please meet newly examined (1998) PhD student Michael Mann. McIntyre asked Mann for all his data and code to check his results. Mann refused. 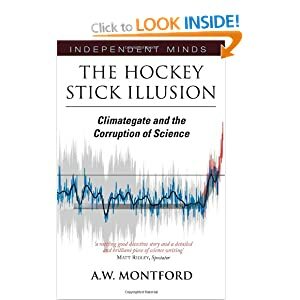 So they reverse engineered what Mann had done and found that Mann’s code would produce a hockey stick shape even if you feed all the numbers of a telephone book into it (ie. random numbers). Not good. Below are 8 graphs, one is Mann’s “hockey stick” the 7 others are the graphs from “red noise” numbers being fed into his computer program. Amazing! [Mann’s] decentred methodology is simply incorrect mathematics …. I am baffled by the claim that the incorrect method doesn’t matter because the answer is correct anyway. Method Wrong + Answer Correct = Bad Science. The papers of Mann et al. 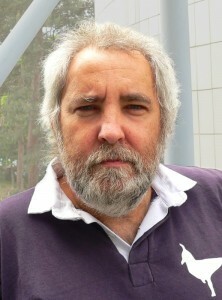 in themselves are written in a confusing manner, making it difficult for the reader to discern the actual methodology and what uncertainty is actually associated with these reconstructions…It is not clear that Dr. Mann and his associates even realized that their methodology was faulty at the time of writing the [Mann] paper. 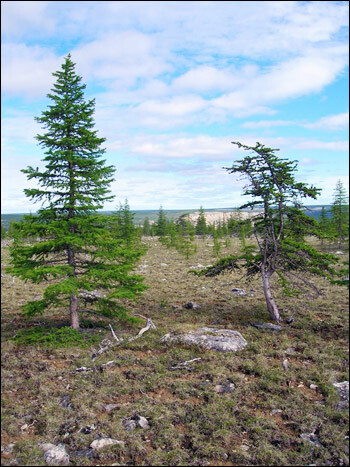 Our findings from this analysis suggest that authors in the area of paleoclimate studies are closely connected and thus ‘independent studies’ may not be as independent as they might appear on the surface. our perception is that this group has a self-reinforcing feedback mechanism and, moreover, the work has been sufficiently politicized that they can hardly reassess their public positions without losing credibility. This was when the main battle lines were drawn in the sand. On one side: The politicians, The UN IPCC, The Media, NGOs (WWF, Greenpeace etc) and government scientists. On the other side: independent scientists, unpaid skeptical bloggers and statistics experts from around the world. The skeptics were furious that they had been lied to and that climate science had by then turned into a political ideology. They set up their own camps and investigations of climate “science”. The Climate Wars began in earnest. Some music to set the “I’m leaving you” mood. MUSIC: Eurythmics (1985) – Would I Lie To You? …new IPCC “spaghetti graph” features prominently, again, and includes his old tree rings as well as Keith Briffa’s hockey stick shaped Yamal tree rings, especially YAD06: the most influential tree in the world! 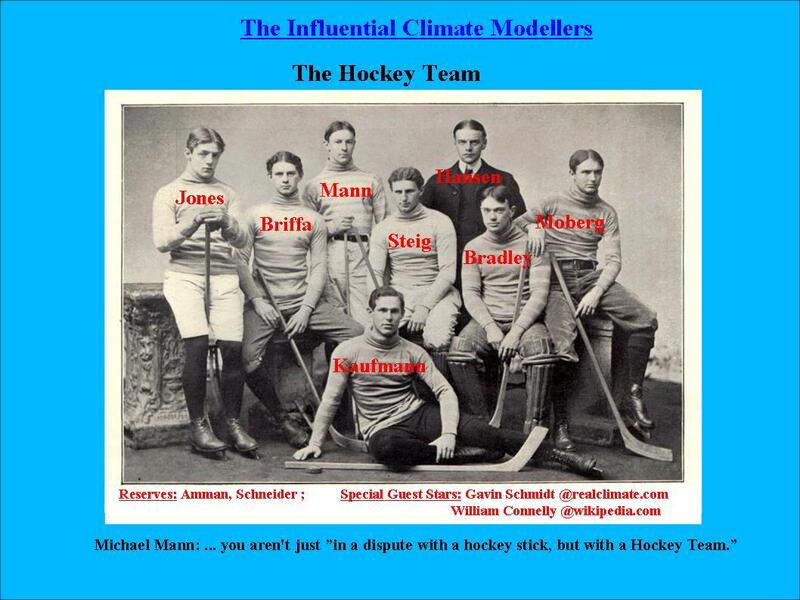 2008: Michael Mann publishes another Hocky Stick graph, with your old favourites as well as some newbies. Answer: All of them have upside down parts! Shocked? Well … read on here and be amazed too. 2009: (7-18 Dec) The Copenhagen Climate talks … collapse. Time for some catchy music that “went viral” around the world just after the Climategate emails were released. For your listening pleasure here is: Hide the Decline I and Hide the Decline II, to get you “warmed up” … as well as setting the mood for the decline in the public’s confidence in our elected officials. 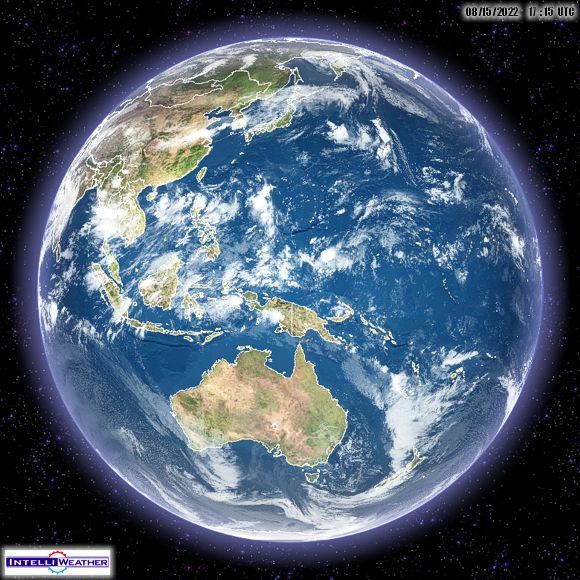 2010: The effects of the Climategate emails are still reverberating around the world. The Australian Prime Minister Kevin Rudd has been ousted due to the effects Climategate. Here are Australian comedians poking fun at Kevin Rudd’s Labor government. His deputy Julia Gillard has to stay at home while “Kev” is away travelling, like taking a 114 person climate delegation to Copenhagen 2009, then coming back and cancelling his carbon tax proposal. The American Cap and Trade carbon dioxide tax has been stopped. The Chinese are writing books, but not allowing English translations, laughing at the Western AGW scam. The price of carbon credits has crashed. Green groups around the world are pulling back from the Global Warming cause. And public debates are finally being allowed between “warmists” and “skeptics”. Even Steve McIntyre is now allowed to speak. WOW! 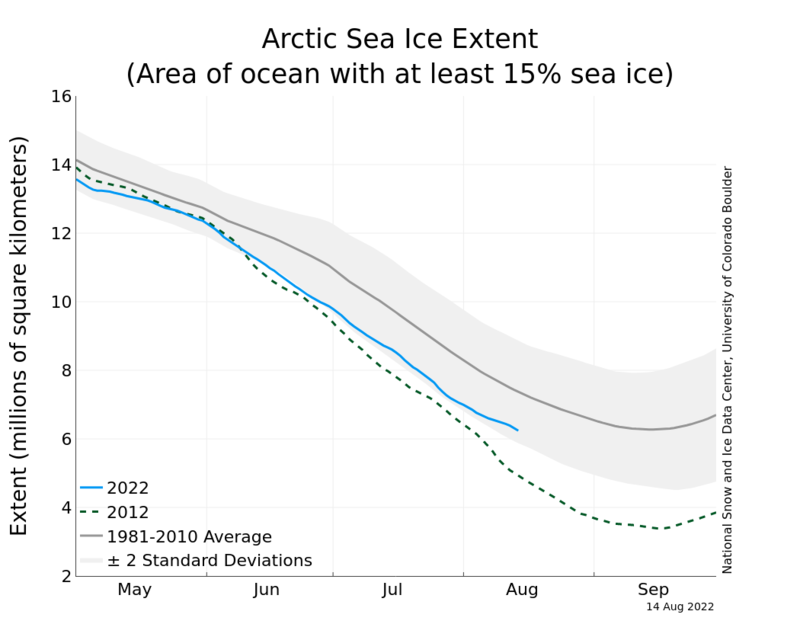 So … has the politically driven Catastrophic Man Made Global Warming (CAGW ) scare finally been beaten? 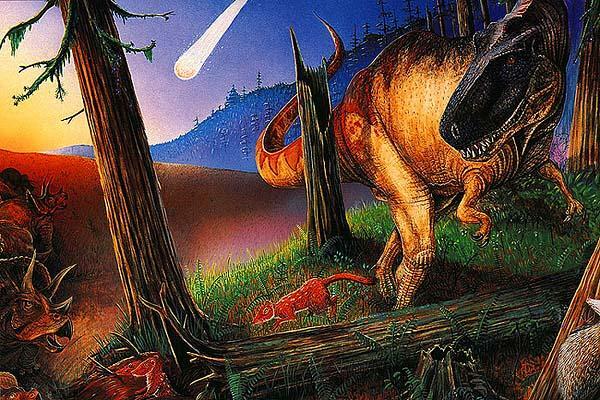 Has the bright comet of the Climategate emails plummeted public support … and finally killed off the dinosaur Man Made Global Warming scare … whose huge body has been only held aloft by the twin spindly legs of money and politics? Will alternate theories, like the mammals, until now trampled underfoot … finally be free to fill their rightful scientific niches vacated by this lumbering giant? Are The Climate Wars … ending? … maybe the Global Warming Scare, after 40 years, will just slowly fade away, just like Eugenics and Lysenkoism. Let’s hope so. This entry was posted in Books, Climate, Education, Hockey Stick, Political Climate. Bookmark the permalink. 25 Responses to The Climate Wars … ending? I am no man! My favorite scene in the trilogy. There is no doubt that Lucia is a (pretty) woman. Just a small correction, my understanding is that Paul Hudson, didn’t have all the emails a month before, he only had one. I was interviewed by the Norfolk police and am pretty sure this is the correct interpretation Jeff. Thanks to Lucia and Jeff (fixed) for mentioning my new blog. a.) The Sun is now spherically symmetric, like the wave function that describes an electron in the ground state (1s) orbital of the Hydrogen atom, . . . b.) The Supernova that gave birth to Supernova 1987A, to the Planetary Nebula Eta Carina, and to the Sun and its planets had the shape of a wave function that describes an electron in the excited state (4f) orbital of the Hydrogen atom. Thus supernova explosions may be like the excited state of an atom, and the present calm stable solar system may be like the ground state of that atom. If the same analogy is used to consider the internal structure of the Sun, then the solar core may be more like the dense core of the atom (~10^15 g/cm^3) than like a highly-compressed version of the hydrogen and helium seen at the solar surface. 1. E. Rutherford. “The Scattering of α and β Particles by Matter and the Structure of the Atom”, Philosophical Magazine 21 (1911) 669-688. 2. Niels Bohr, “On the Constitution of Atoms and Molecules, Parts I, II & III”, Philosophical Magazine 26 (1913) 1–24, 476–502, 857–875. 3. Niels Bohr,”The spectra of helium and hydrogen”, Nature 92 (1914) 231–232. Except Lysenko was correct. Just not generally. Thank the Maker you didn’t add Cold Fusion which seems to be making progress. Sometimes the Right scientists get it wrong and the Wrong Scientists get it right. Learning about the real world is a humbling endeavor. Great summary! Thanks for your post. 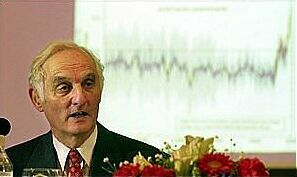 Courtney RS, „An assessment of validation experiments conducted on computer models of global climate using the general circulation model of the UK‟s Hadley Centre‟, Energy & Environment, Volume 10, Number 5, pp. 491-502, September 1999. ” My 1999 paper reports that the Hadley Centre GCM showed an unrealistic high warming trend over the twentieth century and a cooling effect was added to overcome this drift. The cooling was assumed to be a result of anthropogenic aerosol. So, cooling was input to the GCM to match the geographical distribution of the aerosol. And the total magnitude of the cooling was input to correct for the model drift: this was reasonable because the actual magnitude of the aerosol cooling effect is not known. This was a reasonable model test. If the drift were a result of aerosol cooling then the geographical pattern of warming over the twentieth century indicated by the model would match observations. e.g. 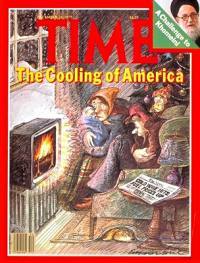 the model predicted most cooling where most warming was observed. This proved that the aerosol cooling was not the cause – or at least not the major cause – of the model drift. The Hadley Centre overcame this unfortunate result by reporting the agreement of the global average temperature rise with observations. But THIS AGREEMENT WAS FIXED AS AN INPUT TO THE TEST! It was fixed by adjusting the degree of input cooling to make it fit! However, this use of supposed ‘aerosol cooling’ to compensate for the model drift means that any input reduction to anthropogenic aerosol cooling must result in the model providing drift which is wrongly indicated as global warming. In any other branch of science this ‘aerosol cooling’ fix would be considered to be incompetence at best and fraud at worst. Importantly, this one fact alone proves – beyond any possibility of doubt – that the climate models provide incorrect indications of global warming. My paper reported this in 1999, and no subsequent dispute of it has been published. 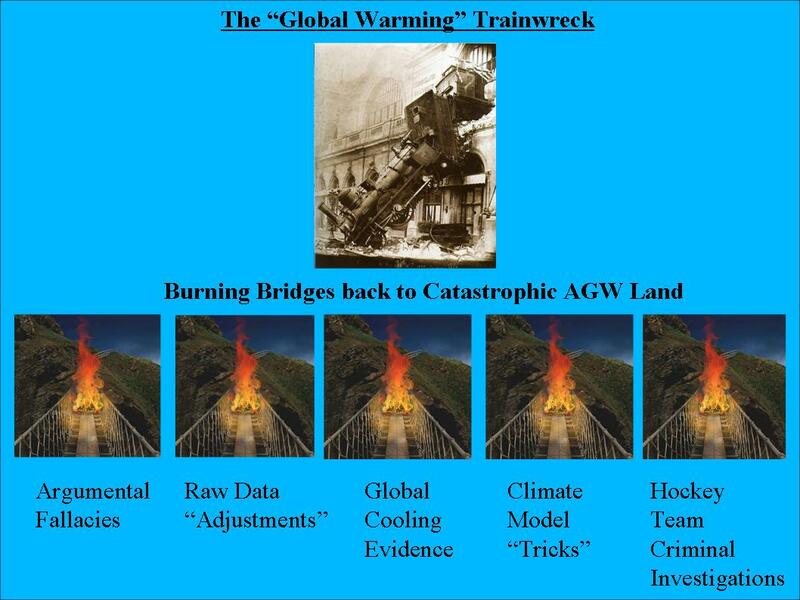 is a central “point” of AGW’s history / propaganda I would suggest. I’ll pass the link along. A very helpful summary, but one important subject is missing, the UNITED NATIONS FRAMEWORK CONVENTION ON CLIMATE CHANGE, 1992, adopted at the Earth Summit in Rio de Janeiro 1992 (in force 1994). It is the highest international legal instrument all State parties (currently 194), according which the Kyoto Protocol was adopted 1997 (in force since 2005). 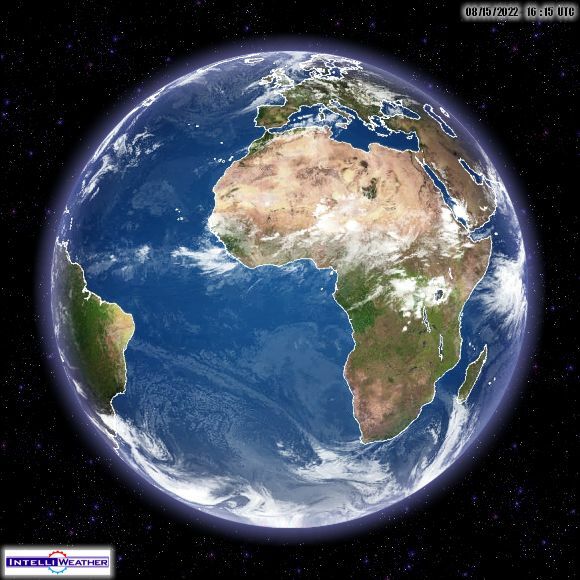 The texts require “ to reduce global warming and to cope with whatever temperature increases are inevitable.” http://unfccc.int/essential_background/items/2877.php The international Climate Change activities (e.g. the UN Climate Change Conference in Copenhagen, 7-19 December 2009) have to apply these documents. to which the above documentation refers to (Question, “Jeff Id (the Air Vent)”). Thanks. Great history and information !! Rice Yields ‘to fall’ when in fact they are not! Richard Black has posted on his blog, a sort of apology, but insists the headline is correct, because of ‘projections’ of rice yield. !!!! If the BBC business section had written an article titled. Imagine, if it had been pointed out to them, this was factually wrong, and they issued a minor correction and left the same title, and bulk of the story/spin.. The BBC would be (rightly) accused of spinning a headline against the facts, as a political statement, and there would be trouble (lots of it, poltical and otherwise – ie markets).. So prior to the correction, ‘sloppy’ journalism….. possibly? Following the correction, the facts having been spelt out to them by many people. A reference to the Milankovich cycles (see, for example, http://www.sciencemag.org/cgi/content/short/194/4270/1121) in the mid 1970s might be worth adding to your chronicle. It was on this foundation of low resolution paleoclimate data that the high resolution stuff built and took off. Surely that’s because the Beeb felt it was “fake but accurate”? Full of troothiness? One stop shopping for the controversy! Thanks for compiling it with the links. Fascinating! Thanks for putting the summary together. This is just to much! Great fun post, just what the novice public needs. 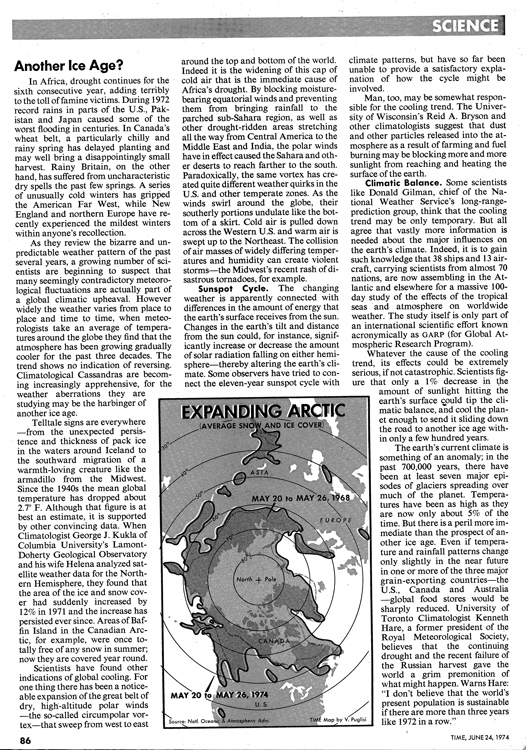 I wonder whether you would be interested to post a subject particularly interesting for Scandinavia, namely why the winter 1940/41 was record cold in the Skagerrak region, discussed at: http://www.what-is-climate.com and In a shorter version at: http://www.1ocean-1climate.com/If you need further information or the materialPlease let me know. Be curtailed lest Rome become bankrupt. The above quote, shamelessly copied from e-mails by Climate Skeptics, would be a fitting conclusion to the Climate Wars.